Today was yet another day we planned to visit the Sackler Gallery and ended up going somewhere else instead. 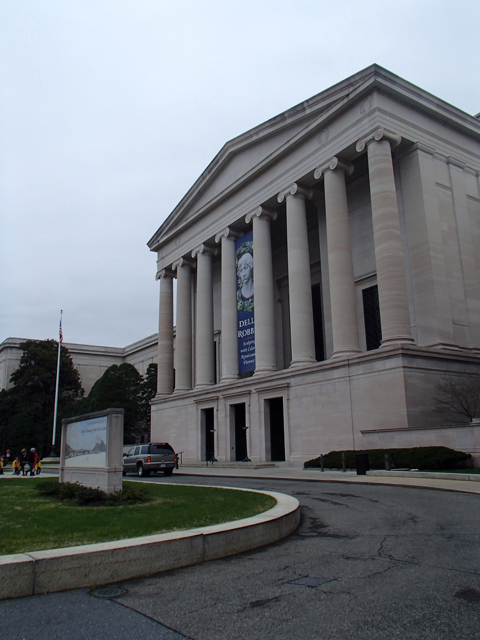 This time it was because we realized a new exhibit we're interested in opens at the Sackler next month and some exhibits we were interested in at the National Gallery of Art recently opened. Finding the entrance to the museum seemed simple as their website says that the accessible entrance is on 6th Street. This is kind of a confusing way of putting it, though, because to me that would mean an east or west side of building entrance and not the north side where 6th Street dead ends at the building. Thus, it's really on Constitution if you ask me. Really it still is easy to located, especially since every other entrance directs you to the accessible one. Now finding where we wanted to go inside the museum was truly not anywhere near as easy as I thought. I even grabbed a map, which is something we rarely do these days in the museums around D.C. because we tend to just be heading to one specific exhibit and know the floor/wing for it. This time I knew the floor and everything from the website and had grabbed a map and yet only found the exhibits without asking because I remembered 11 years ago there was a special exhibit over by the 7th Street entrance and that really is the temporary exhibit spaced called Inner Tier on the website. Of course, it would've just made sense to ask where the exhibits were when I asked at information for a map, but I really thought a map was all the information I needed. 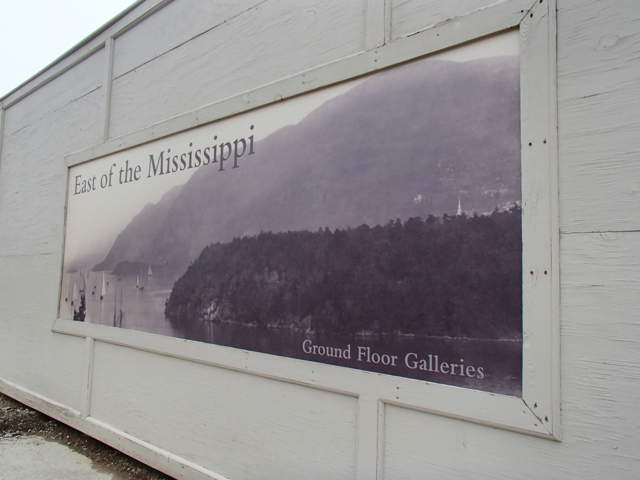 The main exhibit we went to see was "East of the Mississippi: Nineteenth-Century American Landscape Photography." We found it an interesting look at early photography. Mik particularly liked the smaller ones because they were easier to see, which is probably since they weren't displayed and damaged by light as much. 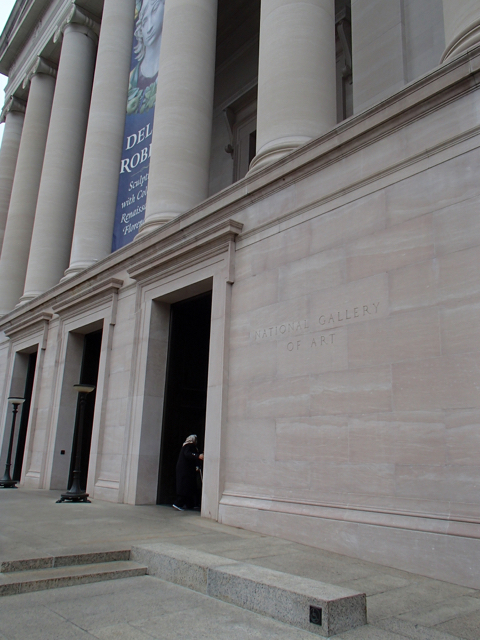 This was Mik's first time visiting the West part of the National Gallery of Art, but he was too tired to explore more than the temporary exhibits on the Main Floor (and the gift shop, of course). He did get enough of a glimpse at the permanent exhibits to want to visit again and see more. In particular, we enjoyed the "Masterpieces of American Furniture from the Kaufman Collection, 1700-1830" exhibit that we passed through to find the temporary exhibits.